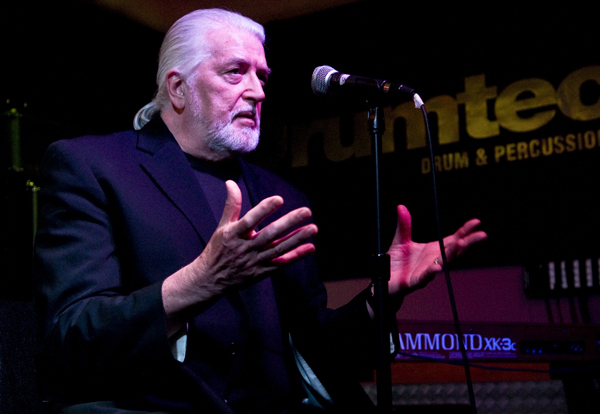 Jon Lord and Rick Wakeman recently joined forces to educate and inspire keyboard players and fans alike at London’s Tech Music School. 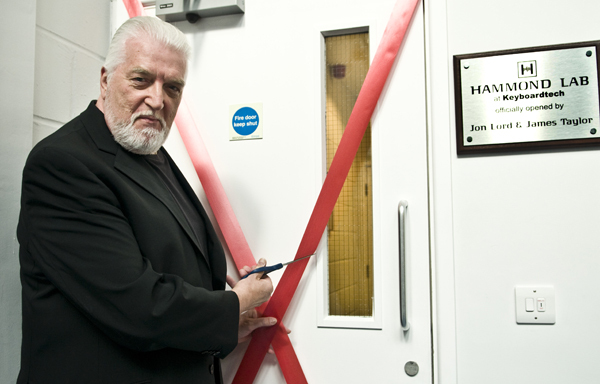 At first, Jon Lord opened the school’s Hammond Lab and took in the all new setup of digital Hammond organs. 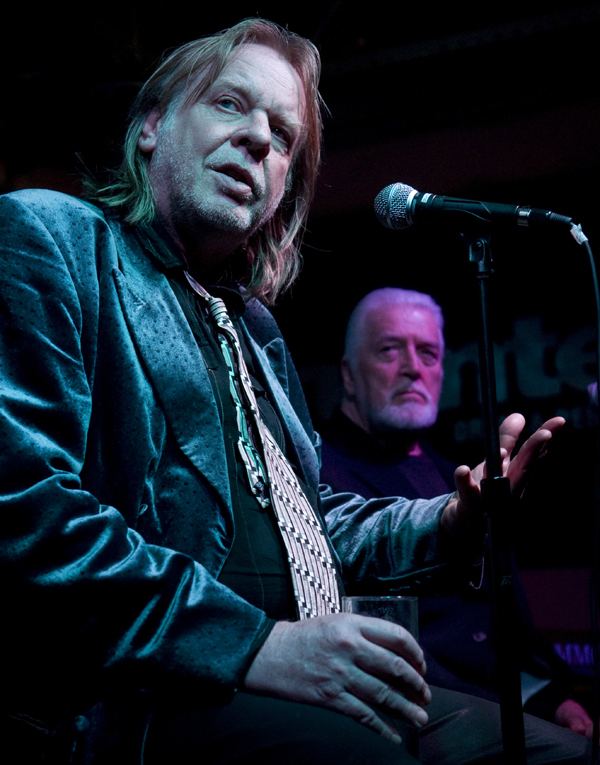 Later, Jon was joined by Rick Wakeman for a Q&A session. 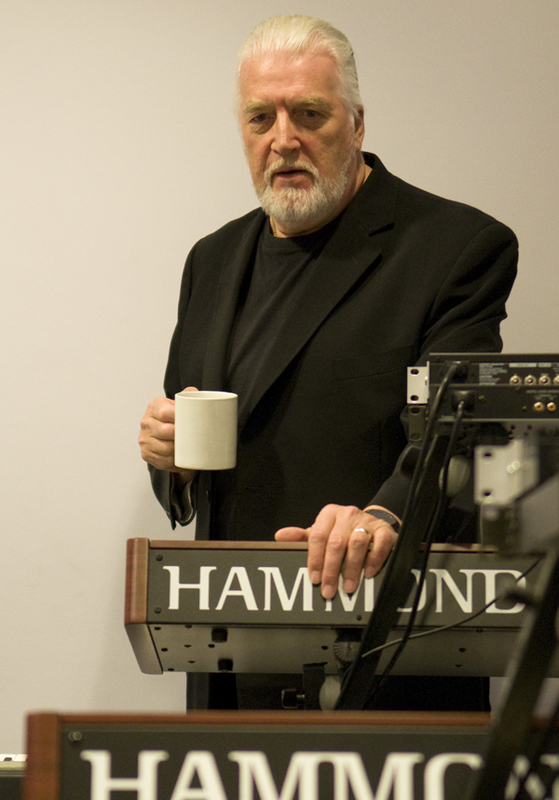 ‘One of the most enjoyable evenings was spent at the Keyboard Tech department of Thames Valley University where Jon Lord and I did a Q&A with some of the students. The hour and a half seem to race by and both Jon and I enjoyed ourselves immensely and it was great to be amongst musicians who are genuinely keen on honing their skills and learning about their art. It was an awe-inspiring evening, thank you so much. Bit of a long shot but will anyone be doing a transcript or review of the Q & A session. It would be really great to hear what was said for those of us who could not make it there. I always dreamed about a “K3” tour (like G3 but keyboards instead of guitars) with “the big three”: Jon Lord, Rick Wakeman and Keith Emerson. Could be this the start of something bigger? As Joe Satriani and Steve Vai does with the G3, they could rotate and invite other talents like Steve Walsh, Don Airey, Jens Johansson, Tony Carey, David Rosenthal, Jordan Rudess, Derek Sherinian, Vitalij Kuprij, Kevin Moore, Tony Macalpine, Mike Keneally, Mystheria, etc. in the mentioning of the great k3 why does everyone seems to forget manfred mann? different in style but similar unique, probably the best minimoog player of all time…and educated as well. I wish I was there. I would seriously pay to attend something like this. And the concerts mentioned sounds awesome, two legends jamming together. In the begginning the world of Rock was mainly dominated by guitar players, and the Keyboard was an instrument that had a second place. But thanks to the work and inmense talent of people of the 70’s, like Jon Lord, Keith Emerson, Rick Wakeman, Vincent Crane, Tony Banks, Kerry Minnear, Eddie Jobson, Doug Ingle, Peter Bardens, Manfred Mann, Thijs Van Leer, and many more heroes of the Hammond, the mellotron, the electric piano, the clavinet, and the Moog sinthesizer, the keyboard in the rock music becames a soloist instrument, with equal importance as the guitar. We, rock fans, lovers of the beautiful sounds of the keys, are in debt with all this people. God bless you all, amazing keyboard players of the 70’s.